Biological soil crusts (BSCs) are found in all dryland regions of the world, including the polar regions. They are also known to occur in the southern African region. Although there were a number of case studies on BSCs from that region, we did not know if they are a normal part of the vegetation cover or just a phenomenon that occasionally occurs here and there. In order to investigate diversity, distribution patterns, and the driving factors of both, we followed a random sampling system of observatories along a transect, stretching from the Namibian–Angolan border down south to the Cape Peninsula, covering seven different major biomes. Biological soil crusts were found to occur in six out of seven biomes. Despite the fact that soil-dwelling algae occurred in the Fynbos biome, crust formation was not observed for hitherto unknown reasons. Seven BSC types were distinguished on the basis of morphology and taxonomic composition: three of them were cyanobacteria-dominated, one with additional chlorolichens, two with bryophytes, one hypolithic type restricted to quartz gravel pavements, and the unique lichen fields of the Namib Desert. Besides 29 green algal species in 21 genera, one heterokont alga, 12 cyanolichens, 14 chlorolichens, two genera of liverworts, and three genera of mosses, these crusts are positioned among the most diverse BSCs worldwide mainly because of the unusual high cyanobacterial species richness comprising 58 species in 21 genera. They contribute considerably to the biodiversity of arid and semi-arid bioregions. Taxonomic diversity of cyanobacteria was significantly higher in the winter rain zone than in the summer rain zone (54 versus 32 species). The soil photosynthetic biomass (chlorophylla/m2), the carbon content of the soil and the number of BSC types were significantly higher in the winter rain zone (U 27, 29 = 215.0, p = 0.004 [chla]; U 21, 21 = 135.0, p = 0.031 [C]; U 27, 29 = 261.5, p = 0.028 [BSC types]; excluding the fog-dominated Namib biome). The winter rain zone is characterized by a lower precipitation amount, but a higher rain frequency with the number of rainy days more evenly distributed over the year. The dry period is significantly shorter per year in the winter rain zone (U 8, 9 = 5.0, p = 0.003). We conclude that rain frequency and duration of dry periods rather than the precipitation amount is the main factor for BSC growth and succession. Nitrogen content of the soils along the transect was generally very low and correlated with soil carbon content. There was a weak trend that an increasing proportion of silt and clay (<0.63 mm) in the soil is associated with higher values of BSC chlorophyll content (Pearson correlation coefficient = 0.314, p = 0.237). Furthermore, we found a significant positive correlation between silt and clay and the number of BSC types (Pearson correlation coefficient = 0.519, p = 0.039), suggesting that fine grain-size promotes BSC succession and their biomass content. Lichens and bryophytes occurred in BSCs with lower disturbance frequencies (e.g. trampling) only. Crust thickness and chlorophyll content increased significantly from crusts of the early successional type to the late successional crust types. 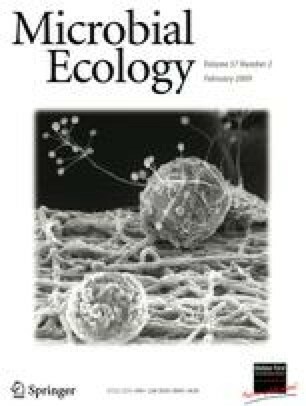 From our results, we conclude that BSCs are a normal and frequent element of the vegetation in arid and semi-arid southwestern Africa, and that rain frequency and duration of dry periods rather than the precipitation amount are the key factors for the development, differentiation and composition of BSCs. We would like to express our sincere thanks to the German Ministry of Education and Research (BMBF) for sponsoring the BIOTA Africa project in the framework of the BIOLOG program, and to our German, South African and Namibian partners for valuable contributions to the development, design and the implementation of the BIOTA Biodiversity Observatories. Hans Reichenberger (Univ. Kaiserslautern, Germany) is thanked for field support and many careful analyses. Andreas Petersen and Alexander Gröngröft (Univ. Hamburg, Germany) kindly allowed us to use their soil data.